If you asked me a year ago if I could have a baby and complete my A levels at the same time, I would have said you were crazy. 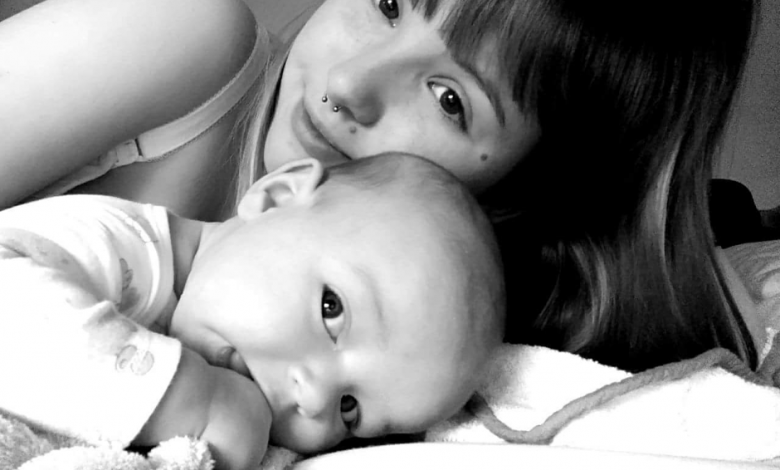 When I found out I was pregnant, the two-combined seemed like an impossible challenge, I was worried I would have to finish my exams when my baby was a lot older. Little did I know that I would come out the other side with both a healthy little boy called Theodore and 3 B grade A levels to help me in the future! I was 17 when I found out I was pregnant, just starting my second and final year of A-levels, as was my partner! Thankfully 2 out of 3 of my subjects were coursework based so exams whilst heavily pregnant wouldn’t be a problem for them. However, my sociology course had 3 exams at the end, all around the time of Theo’s due date; one just 2 days before! I remember breaking the news over Facebook after my 12 week scan, 2 days before school broke up for the Christmas holidays. Obviously my close friends and teachers at school already knew, but I was so shocked to only receive positive comments and congratulations from everyone in my sixth form and the rest of the school it made everything so much easier. My school were amazing throughout my pregnancy. I missed quite a lot of school time due to morning sickness, feeling generally unwell, having SPD and ending up in hospital a couple of times – once with sepsis! Thankfully school made sure that work got home to me so I didn’t fall behind and were always checking up on me to see how I was doing. Even though I had applied to go to uni, and had received offers from various universities, I decided to withdraw my application and reapply in a few years in order to focus on looking after Theo after he was born. Looking back on it now, it was the right decision. Theo’s due date was June 22nd and my last exam was on June 20th. I honestly thought I wouldn’t be able to take it but thankfully Theo wasn’t born until July 4th. I took my sociology exams in a room by myself where I was allowed to take snacks and a drink and have toilet breaks whenever I wanted. This was especially wonderful as being 9 months pregnant meant a baby right on top of my bladder! Waddling out of my last sociology exam, I felt so proud to have finished it all. At that point I really didn’t care what grade I got because I had worked hard and tried my best with a baby kicking me in the ribs the whole time. My teachers made an announcement in the staff room on the day that Theo was born. I remember my head of Sixth form telling me that they felt like parents as the sixth form was like a family – made me laugh and I couldn’t wait to bring Theo in to meet them all! 10 days after Theo was born, Theo, his dad and I went to our prom. I was still healing and very tired but it was wonderful for my friends and teachers to be able to meet Theo after everything they did for me and my partner. When results day came, I was so nervous. Reality had once again kicked in and I almost didn’t want to know what I had achieved in each subject. The teachers were smiling at me as I walked into school and opened my envelope- somehow I had got 3 Bs! I was over the moon! I’ve recently received a trust fund award for my work in my A levels which feels great as I really put the effort in. My partner has also got into Northumbria university, and we now live in a 2 bedroom flat in Newcastle. To anyone that has had to face being pregnant whilst studying, I have such respect for you because it can be so difficult. I was lucky to have supportive friends, family and a great network of teachers at school. You CAN do it and it IS possible. Don’t listen to anyone that tells you any different because we are all capable of more than we think.